kt literary » Blog Archive » SOLD! Congrats to NYT bestselling author Jason M. Hough! Congratulations to Jason M. Hough on his sale of INSTINCT – a high-stakes, action-packed thriller coming in 2020 from Skybound! NYT bestselling author Jason Hough’s INSTINCT, in a small town full of dark secrets and wild conspiracy theories, the lone sheriff struggles to trust her own instincts when the people around her begin making shockingly bad decisions, to Michael Braff at Skybound Books, for publication in 2020, by Sara Megibow at kt literary. 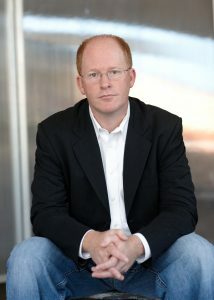 Jason is the author of the DIRE EARTH series of space opera novels – the first of which, THE DARWIN ELEVATOR, released immediately on the New York Times bestseller list. ← Happy Book Birthday to 101 KIDS ACTIVITIES!